THE first full-length trailer for the reboot of Disney's classic The Lion King is finally here, and, as expected, it looks jaw-droppingly realistic. It’s always weird seeing an animated movie—or, to be honest, all of your favorite films—taken apart and reimagined in live action, or with new actors, or with a visual style unlike the original. We all grew up watching the original animated flick on a loop until the VHS (and then the DVD) started to skip from being too old. But lo and behold, the first full-length trailer for the “live-action” remake is surprisingly captivating, a faithful adaptation of its traditionally animated 1994 predecessor. Of course, we see Simba (Donald Glover) in the trailer, from being young to eventually becoming king. 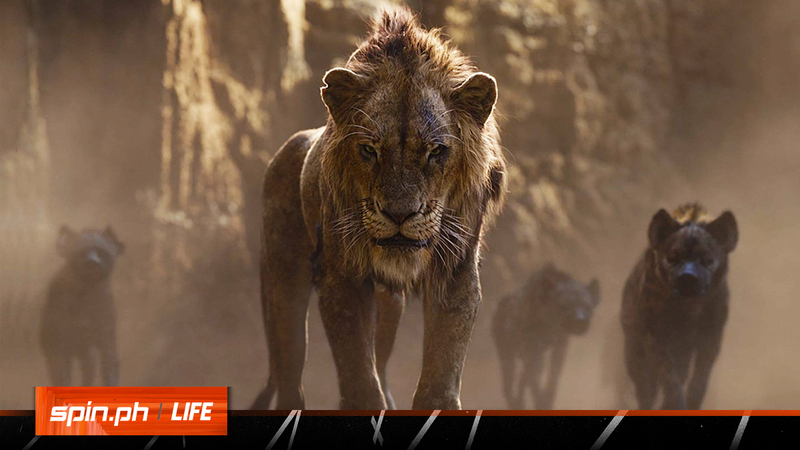 We also see Nala (Beyoncé), his childhood friend (and—SPOILERS—future wife). Then there’s Mufasa, with James Earl Jones reprising his role as the father and mentor to Simba. For the first time, however, we get a glimpse of two supporting characters that will help the young lion become the best king he could be, Timon and Pumbaa! Billy Eichner and Seth Rogen respectively voice the lovable duo as they bop along through the wilderness. But beware, the thorn on Simba’s side has also come forward, together with his laughing hyenas. That’s right, we witness the arrival of Scar (Chiwetel Ejiofor) and his menacing monologue of commanding Simba to abandon the kingdom that he is meant to inherit by rights. These snippets are instantly familiar to Lion King stans like us, and the rest of our Disney-influenced childhoods. The revamp of this classic is directed by John Favreau, an actor-director most famously attached to the Marvel Cinematic Universe. He first flexed his Disney-remake muscles with 2016’s The Jungle Book. Although our love for 1994 The Lion King runs deep, it looks pretty safe to pledge our loyalty to Favreau’s vision. Did you guys see in the teaser trailer when the mythical baboon, Rafiki (John Kani), smudged his special red ink on Simba? It was a symbolic gesture that is one of the animated movie’s most powerful images, and Favreau replicated that in his own adaptation. We can all get totally on board, folks. But bring some tissues with you, just in case. It might prove to be as emotional as the original. The Lion King is in theaters July 19.